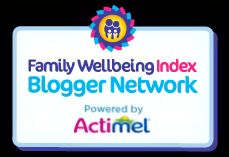 Family Panel has had a bit of a break- families get busy after all and what with health issues, moving house and the like we've been away. 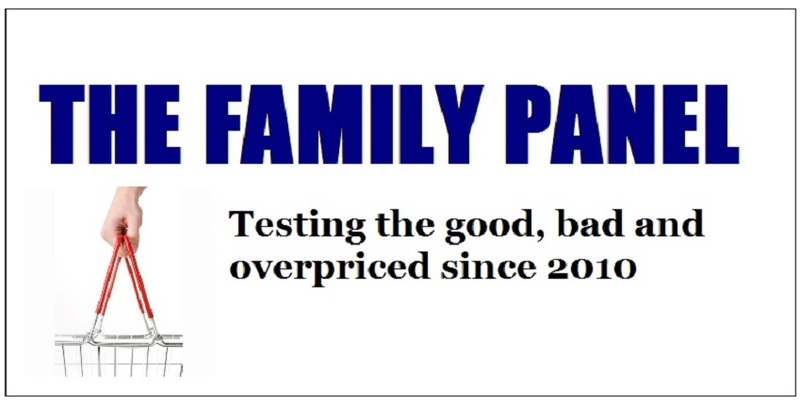 But the original and best (if we do say so ourselves) is back and we'll be keeping you updated on the good, bad and overpriced of consumer products. 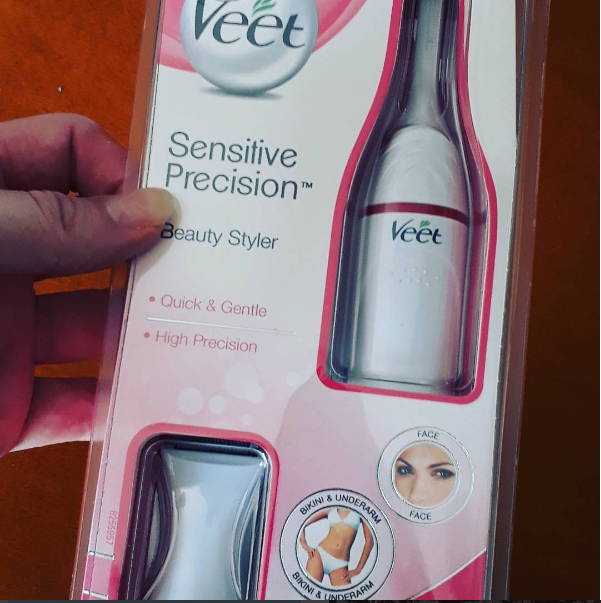 First up, it's the Veet Sensitive Precision Beauty Styler. Its June and that means all us ladies out there will be looking to beach holidays, swimming pool days out and casting off all those jeans, jumpers and winter clothes we've been covered in for months. That of course means the arduous task of hair removal begins. However, Veet promise they can make the whole ordeal easy for us all! The first plus point for me was the packaging. I hate plastic packaging that usually needs a degree to work out how to get inside to the product. The amount of times I have cut myself opening the plastic or on the sharp plastic itself is ridiculous, but Veet has a handy pull system in place that makes opening it safe and takes seconds. 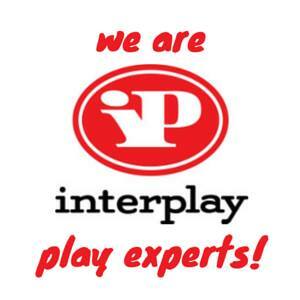 I hope other companies can adopt this too. The styler itself is sleek, not too weighty, and angled to fit your hand beautifully. 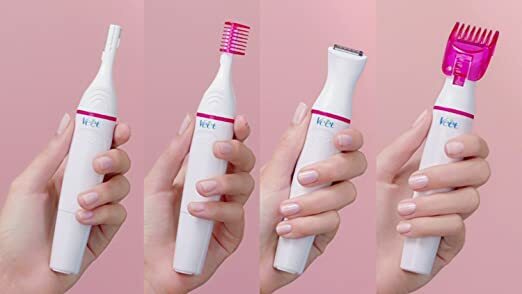 It also comes with two different styling heads- a small double sided one for eyebrows and a larger one like a mini hair clipper for the bikini line. It also has two pink plastic guards so you can trim easily without trimming too much. Finally it has easy to follow instructions, a bag to put the gadget in and a brush to clean it. It was also nice to see a battery included as there is nothing worse than buying a gadget, getting it home all ready to use and then realising you don't have a battery for it. Its very user friendly, you twist the top to chose the styling wand of your choice depending on what hair you wish to tackle, and then once that clicks into place its simply a case of lightly twisting the base to turn it on. I am terrible at remembering to get my eyebrows threaded, and tend to hack a them badly with a razor. I'm not very confident at styling them at all, which is annoying as they are quite bushy in places! 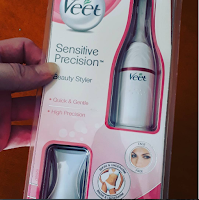 The Veet Precision was very simple to use though, and at first I was quite nervous of dragging the small wand with the guard on it over the thicker areas of my brows but actually it was very safe and I didn't take too much hair off at all. I could also shape the brows very easily and quickly. It wasn't as great at removing the hair completely as with threading, but for a quick fix when I've forgotten again it was fine, and to be fair, if you do notice some regrowth after a few days (I have PCOS so my hormones mean a swift regrowth of hair) it was simple enough to go over it again with the Veet Styler. The bigger wand was also just as simple to use, it didn't pull, and even more satisfying was the lack of shaving rash that I usually experience on my underarms and anywhere else I attack with a razor blade! As I'm prone to sensitive skin, shaving and threading can be a nightmare and has previously ended up with me covered in spots. As you can imagine, when your goal is to be silky smooth like the ladies in the adverts, and then your end up covered in a rash, it doesn't have the desired effect and leaves me reaching for jeans again! Its very simple to clean and although they don't recommend getting the wand incredibly wet I used it in the shower on wet skin and it coped very well. The only negative point and was probably down to my wonkiness was changing the wands proved a bit tricky, but Elder came to the rescue and managed it with a few clicks. make a great stop gap to remove any pesky regrowth.